The call by the Council of Europe’s Commissioner for Human Rights puts further pressure on Enda Kenny. EUROPE’S HUMAN RIGHTS chief has said Magdalene Laundry survivors deserve an apology from the State – and compensation. The call by Nils Muiznieks, the Council of Europe’s Commissioner for Human Rights, puts further pressure on Enda Kenny to issue a full apology, which has so far not been forthcoming. “Women victims of forced labour in Magdalene laundries in #Ireland and their descendants deserve State apologies and restorative measures,” Muiznieks said in a tweet today. Tánaiste Eamon Gilmore confirmed today that he and the Taoiseach will have a “direct discussion” with some of the survivors next week after the Magdalenes requested a meeting. Some of the women said they were “devastated” when the Taoiseach stopped short of a full apology to the estimated 10,012 who carried out forced labour at right religious-run laundries around the country from 1922 onwards. The Taoiseach and senior ministers have refused to broker discussions about a State apology, focusing instead on a Dáil debate on the issue which is due to take place in two weeks. 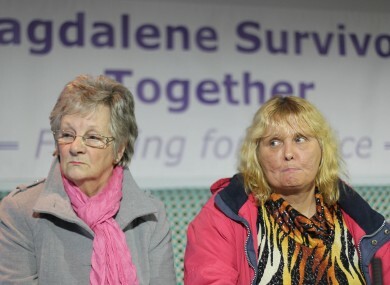 Email “Europe's human rights chief says Magdalenes deserve State apology”. Feedback on “Europe's human rights chief says Magdalenes deserve State apology”.